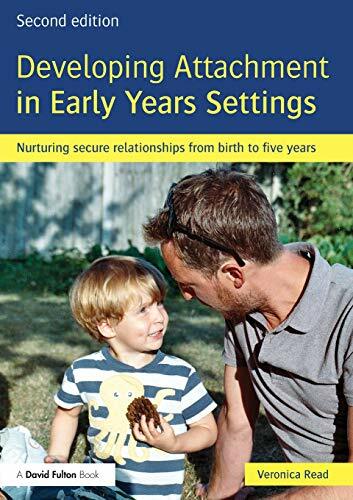 Providing an accessible introduction to attachment thinking, this practical book offers early years practitioners’ advice on translating attachment principles into practice in their settings. It clearly explains how knowledge about attachment theory underpins everyday practice and highlights the crucial role of secure attachments in young children’s learning and development. Developing Attachments in Early Years Settings examines the importance of emotional‚ ‘holding’ and the nurturing of individual relationships within group childcare. The book aims to help you make a real difference to young children’s sense of self and emotional security by being ‘tuned in’, available, responsive and consistent. With a strong focus on facilitating secure attachments from the beginning and guidance on how to observe young children effectively, this new edition has been thoroughly updated and revised to include: How to make a positive contribution to good practice for Government funded 2 year olds A new chapter on the Emotional Environment and the Developing Brain Expansion of material on the importance of the outdoors, as well as Nurture group practice Additional material about working in partnership with parents and developing positive relationships Each chapter includes a personal reflection exercise and a positive contribution to good practice section. With its accessible approach, this book is essential reading for both practitioners and students looking for guidance on how to nurture secondary attachment relationships in group care settings.